All Four Seasons Of TV's Coolest Cops!Since its debut season the popular detective series Starsky & Hutch, produced by Aaron Spelling and Leonard Goldberg and starring Paul Michael Glaser and David Soul was a breakout hit. By Season Two, their way-cool Gran Torino, jive-talking informant Huggy Bear (Antonio Fargas), the boss man Capt. Harold Dobey (Mention Bernie Hamilton) and even Starsky's cable knit, belted sweater were on their way to becoming icons of 70s cool. The show's outrageous style andtongue-in-cheek humor, played alongside Season Threes more serious story lines which made it one of the most popular and innovative cop shows ever. 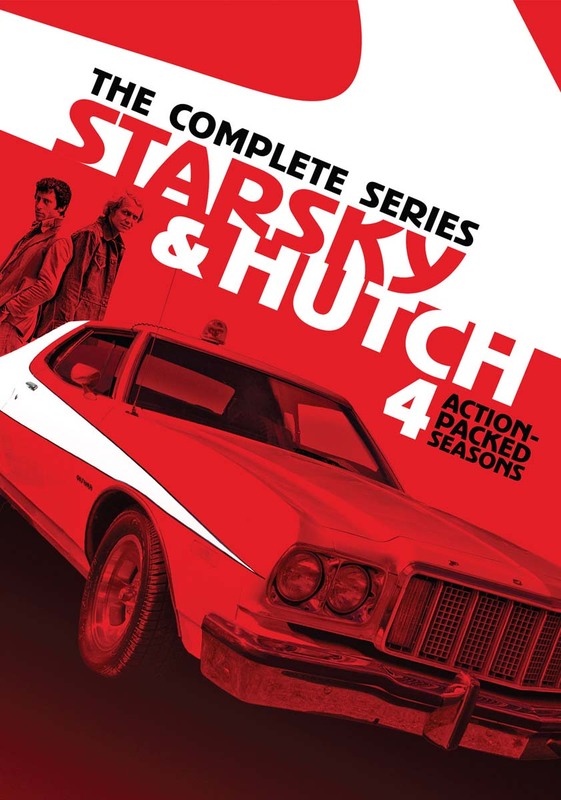 With colorful bad guys, explosive gunplay, big laughs and plenty of burning rubber, the Fourth Season ofStarsky & Hutch was an action-packed farewell to this television classic. Known as the epitome of hip 70s action, this 93 episode collection is a retro explosion of cops, cars & superstars!Guest Stars Include: Danny DeVito, Melanie Griffith, Suzanne Somers, Joan Collins, Philip Michael Thomas, Kim Cattrall, Jeffrey Tambor, Lynda Carter, Jeff Goldblum, Kristy McNichol and many more!